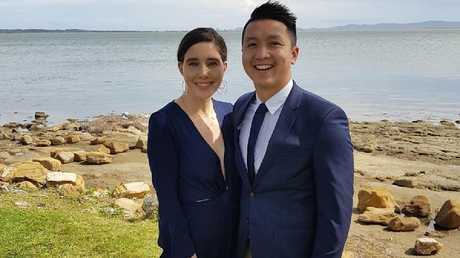 Emily McDonagh and boyfriend Sunny Wu love to travel. Savers aged under 24 set more money goals than other age groups, new research has found. Despite widely-held views that young Australians focus more on today than tomorrow, a Westpac analysis of 17,000 accounts has found that 18-24 year old are creating the most goals, with travel their most popular target. Savers aged 25 to 34 are more focused on saving for a home, according to the bank's analysis of its Life accounts, which allow people to open up to six goals in one account. Other popular choices include saving for cars, pets, weddings, Christmas and "just in case". Emily McDonagh, 24, loves travelling with her boyfriend Sunny Wu and sets regular savings goals. "I hate that post-trip feeling when you have decimated your savings so I always plan to leave a little in the bank and set another goal ahead of time so you keep that conscious mindset," she said. 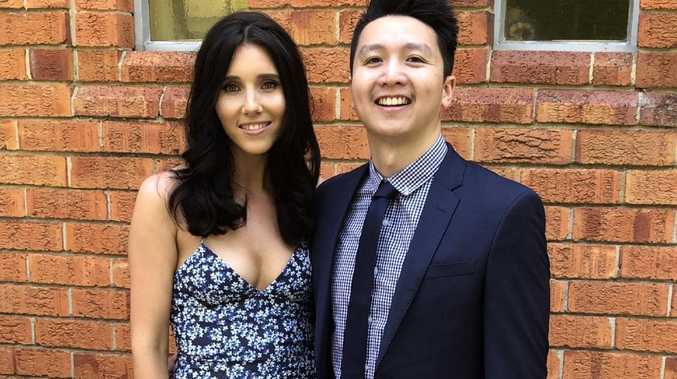 Emily McDonagh and boyfriend Sunny Wu entertain at home when saving for holidays. "I feel much better forgoing that arvo coffee when I have something to look forward to." Ms McDonagh said setting up automatic debits was important to keep savings goals on track, as was sharing goals and travel plans with friends. "We do a lot more home-cooked meals together, and cheese and wine nights so as not to make saving an isolating experience." Westpac head of savings Kathryn Carpenter said two-thirds of Millennials believed they saved more if they had a specific target in mind. "Young Australians are growing up in a time of low income growth and higher cost of living, so there is a need for them to be more financially savvy," she said. "Without documenting goals, it's easier to lose sight of what they are and fall off the money-saving wagon. "We often find that people come back from the holiday season with a new year's financial resolution, but without a plan or regular deposit this can dip into inaction within several months." People's Choice Credit Union spokesman Stuart Symons said up to 80 per cent of people had given up their new year's resolutions by February. He said savings plans could be sped up by cutting back on alcohol and other vices, takeaway meals, coffees and personal trainers. "Hit those training sessions hard, but perhaps cut back on one every week - spend that time doing a run or workout with friends." Set goals, detailing what you are saving for and your timeline. Choose the right savings account and try to avoid withdrawals. Smaller regular deposits are better than irregular large deposits that may strain cash flow. Set up automatic transfers to savings account, which makes consistent saving easier. Have a savings buddy such as a partner, sibling or friend to keep each other accountable. Set up a budget and review your spending.